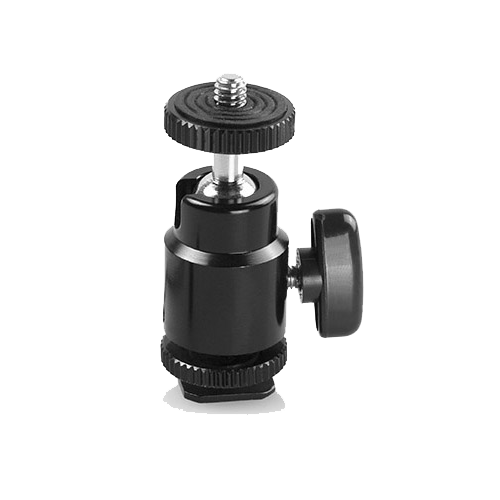 • This Hot-shoe mount is a must-to-have accessory for photographers. Mount it with the hot shoe or 1/4" socket, swivel or tilt it at any angle you'd like, thanks to the 360-degree spin function. It is perfect to connect LILLIPUT monitors or other accessories to your camera. • It can work with any camera with a hot shoe plate, such as CANON, Nikon, Olympus, Kodak... or connected with tripod, monitor etc. • This kit can be easily to swivel at 360-degree angle that helps you to capturing amazing moment in the shooting process. • 1/4" on the top to attach to monitor.